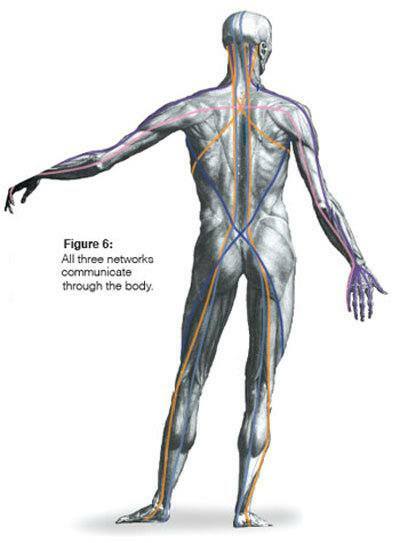 In the early years of my dissection studies, I was an active practitioner of structural integration. I believed that if I used my hands to “differentiate” my clients’ tissues, I could help them to experience freedom of movement more fully. Therefore, it is not surprising that I approached cadavers similarly. I would attempt to use my hands to differentiate the different layers of tissue beneath the skin, sometimes with success and sometimes not. Some tissues yielded to fingertip pressure, and I could create space between layers manually, whereas others required a scalpel to separate them. 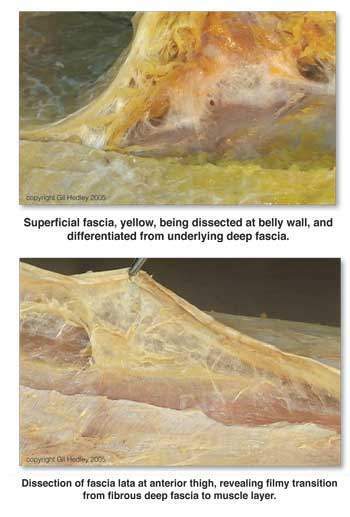 Now, facing such a problem, one strategy would be simply to cut away all the tissue that isn’t in the book, and focus on what’s “supposed to be there.” That is pretty much the strategy of dissection for medical students, who are not going to waste a lot of their severely over-taxed time fumbling with matters outside the curriculum. Make everything look clean and tidy, carve the book drawings out of the tissue, replicate the regional model of separate parts in the unsuspecting cadaver, and consider the resulting prosection a verification of the curriculum. Lucky for me, I had no teacher in the lab but the cadaver, and I had no test, schedule, or curriculum to which I was beholden. The way I saw it, as a bodyworker and as a somanaut, I was touching the whole person, so I wanted to account for everything that was there materially. So far in this chapter, I’ve described – with broad strokes – the common, typical, normal tissue relationships, and the variety of qualities inherent in those relations (no attempt to exhaust the subject here).